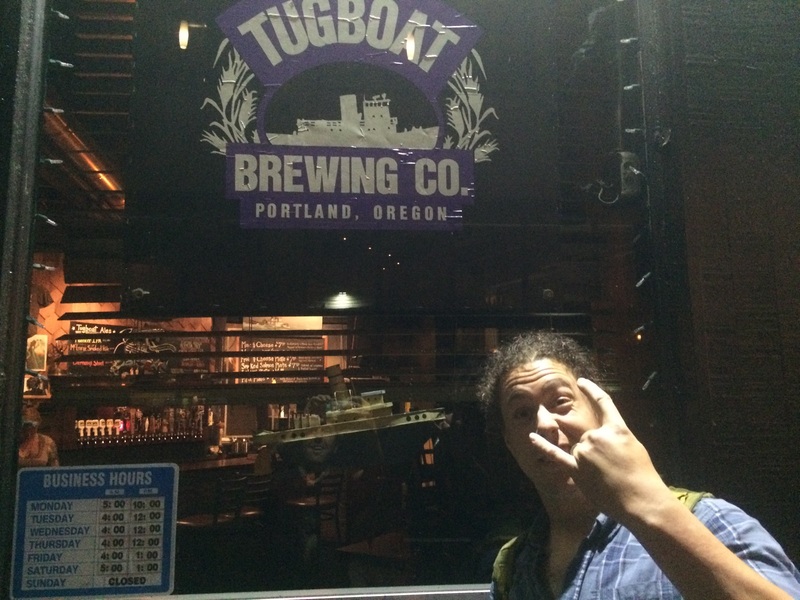 So Tugboat is the coolest brewery in Portland. Prostrate yourselves. It’d be more fitting to call this month’s feature “Over a Half Pint,” at least on my behalf. That’s because the Tug’s best beer is Chernobyl Double Imperial Stout, a 13.5% beast that belies its ABV, that the beertenders are instructed to only sling by the half pint. Over the course of the night, I enjoyed four such halves. The Metal Brewer is Lloyd “Drew” Phillips, a member of McMenamins’ stable of brewers since 2012 who, in company fashion, worked his way up from non-brewing gigs at pubs such as Kennedy School and East Vancouver. He does love metal. But, a perk of brewing at the Crystal is that he gets to attend any of their shows like the recent triumphant return of Sleater Kinney. For his part, Drew drank exclusively Black Sheep Ale, a British import pale ale. It’s a fitting brand for him. But from what I’ve gathered about Drew, he hasn’t been branded a black sheep but relishes standing out from the herd. As a brief set-up, I arrived at the Tug before he did and, in true Tug fashion, struck up a conversation with a guy named Troy who I sat next to. (OK, it’s “whom,” but I hate that word.) Troy, a homebrewer, was in town on business from Nashville. Drew lived in Nashville and spent a decade in Tennessee though he’s originally from Charlotte, NC. Anywhom, Drew and Troy then engage in a conversation, mostly about brewing for McMenamins, and he uttered this great quote that I’ve possibly mixed up by a word or two. “I’m in Italy, but I’m like the Vatican.” It was a dictum on his and all McMenamin brewers’ autonomy to brew whatever they like save for those famous beers such as Ruby and Hammerhead. But is that so different than any other brewer with big-selling brands that are equally treated as sacred cows? Drew is one of the company’s most creative brewers. He wrote the recipe for Lord of Misrule, the rum-aged Mexican Mocha Imperial Stout that had many local beer tastemakers (1, 2, 3, 4, 5) scratching their heads that easily one of the best beers at last year’s Holiday Ale Fest came from McMenamins. I also recall that he co-created the “Cerberus” program—a series of wild ales now being made at Edgefield—that underscores the unique barrels McMenamins’ brewers have access to since they also operate two distilleries. Incidentally, Cerberus was the name of the family dog in my 7th grade Latin book–yes, I studied Latin in junior high–that perished with the family at the end when Mt. Vesuvius erupted. Only later would I learn how great the name was, akin to the claymation pooch in that innocuously Christian kids show Davey & Goliath, since Cerberus is the three-headed dog that guards the gates of Hades in the underworld in Greek mythology. I vowed to one day name a dog Cerby (“Kirby”), which I did, but it turned out that the rescued pitbull was, sadly, too aggressive and I had to give him back. That’s what I get for naming him after a hell-beast I guess. As if to hammerhead the final nail in the coffin, Drew is scheming a new beer event that I’m confident will become one of the best in Beervana, or at least one of the most talked about, or at the very least one that will be deserving of those banners. We talked about it quite a bit at the bar, but we talked about a great many other things like music and Tugboat itself and how he just figured the “McEnroe Smoked Pale” that was one of only three house beers on tap was named for the tennis great who was both pale and renowned for his ranting that’d lead to figurative smoke coming out of his ears when really it’s named for Megan’s family although, I did find out that her father’s name is actually John McEnroe. As a side note, one of my favorite beertenders in town, the Tug’s very own Linsel Greene (whose father, David, earned the Emmy award that now adorns the pub’s mantel) wasn’t on duty but Megan’s…sibling…or in-law is the barback and the beertender of the night just so happened to have worked at the Crystal Ballroom. Like all Tug staff, she’s pretty cool and kindly poured me a sample of the smoked pale ale which I didn’t order for obvious reasons but I did start off with a pint of the IPA just to try something different. So, that, coupled with those Chernobyls, is why I didn’t recall details of Drew’s festival-in-the-works and now rely on some cheat notes he emailed me at my request. For as “weird” as we pretend we keep this place, there’s a lot of homogeneity. Through Drew’s brews and more, he’s doing his part to alter that. Professional brewing experience: Philadelphia’s, Pyramid, Astoria Brewing, Rock Bottom-Portland, Walking Man, Old Town. Follow Bolt at @vivalagoldens. He just like Golden Retrievers. In deciding where to go with Bolt, he expressed an interest in several new-ish places because he wanted to get a feel for how Portland-proper watering holes do what they do considering he needed pointers on how to design his own forthcoming tasting room. 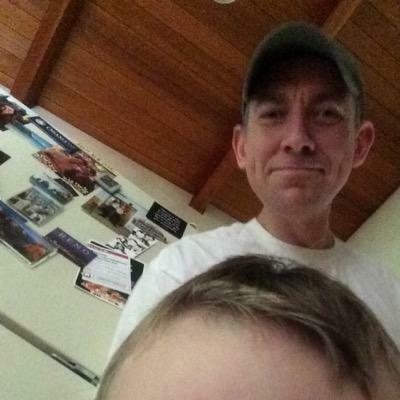 The Clark County, Washington native is finally going, or rather, staying home. The last nine years have taken Bolton on a brewer’s odyssey, beginning at Philadelphia’s. Not in Philly, but the neglected Philadelphia’s Cheesesteaks brewpub in Sellwood (that just expanded and rebranded as 13 Virtues). Oh wait, did I just sneak in Bolt’s full name? Yep, he’s descended from a line of Bolton Ministers. Moving on, he later brewed at three other Portland breweries not to mention Astoria Brewing, a.k.a. the Wet Dog Saloon, which is naturally in Astoria. The dude commuted to that beautiful northwest corner of the state every day (sometimes only six days a week). Around two hours each way. He kindly invited me to do a pro-am beer with him for the WW Pro/Am Beer Fest called IPYae. (It was, naturally, an IPA, named for my son Izzy, and featured a double hop addition of Zeus in the middle and an OG of 1.0612 since his b-day is Jan. 6, 2012). That was the day I first gleaned he was conspiring to bring it all home. It didn’t hurt that he’d first bring hom some serious hardware in the form of two GABF medals (fresh hop gold for his pale ale in ’13 and then silver for his Kolsch in ’14 plus a pair of World Beer Cup medals that year including the Kolsch again.) But now he is striking out on his own to open 54°40′ Brewing in Washougal, Wash. His wife Amy, and son Fletcher—quite the little pistol—will be happy to have Daddy the journeyman return home. And I’m sorry to say, but the Vancouver area needs him. I haven’t had every beer from Washington’s slice of Portland Metro, but I’m confident his brewery will raise the bar. Which brings me to the bar we went out for beers at. We hit Oregon Public House to see how a serious public house can also be kid-friendly without feeling like a slice of Chuck E. Cheese. 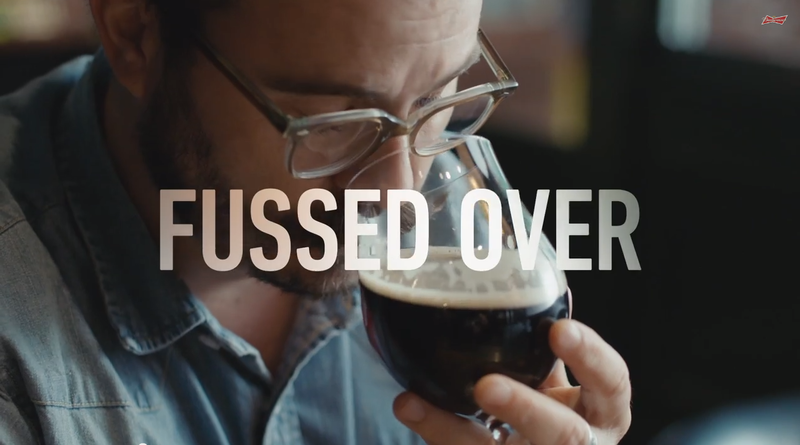 His approach to brewing is both visceral and cerebral. He said once he fires up his brand new brew kettles, patrons generally won’t find beers over 5.5% ABV. And no, that’s not his ISA; that’s gonna be his IPA. He talked about stuff even the beer nerds will geek out over. Y’know, like a Dortmunder. I’m not entirely sure he and I know the same beer nerds. Having said that, he has a wild hair to create some flashy stuff for festivals and the like. And this is where I’m sure he’ll consistently draw Portlanders to venture north of the river. But out of self-interest, I’m going to start with a story from the first time I met up with Bolt at Old Town Brewing. A host or someone mentioned to me that Bolt was organizing a tribute fest to Tom Jones since the legendary singer had just died. SAY WHAT!?! If Tom Jones had died, I’d have heard about it. But the guy was adamant: Tom Jones died and Old Town was putting on a beer fest as a sort of wake. As country music fans and anyone who watches The Voice UK knows, it was the Possum, George Jones who passed on and the Voice himself, Sir Tom Jones, remains very much awesome and kicking. The George Jones Tribute Beer Fest itself was a kick, presented as sort of a wake to one of Bolt’s favorite musicians. Bolt loves country. Real country; not this pap they do in Nashville and Hollywood today. He also digs on the ToJo. We are going to organize a Tom Jones Living Tribute Beer Fest sooner than later. I’ve seen TJ roughly a dozen times in concert. Bolt has seen him once, but has an infinitely better story than any of mine. Vegas. Circa turn of the 21st century. Bolt and his then-ladyfriend are in line to see him at the MGM Grand where he does these two-week-long runs. A frequent opener is the comedian Max Alexander, who Bolt recognizes on his way into the theater. Max is so pleased, he arranges front row seats. Next to Craig Ferguson. After the show, alongside Max, he and his gal got to meet Sir ToJo who went to shake Bolt’s hand (so I’ve now shaken the hand of the hand that shook Tom Jones’s hand), but TJ shook it off quickly to give Bolt’s more attractive companion a smooch. No. By my earlier transitive properties I saw no reason to try and give Bolt a peck. That evening, some 15 or so years ago, turned into a great night of hanging out with Tom, his band, and an unsated desire Tom expressed to hear some live jazz. We have another fest idea we’ll pull together even sooner. Given our love of the Dukes of Hazzard (and Bolt is a fan of Waylon Jennings, the country singer who performs the theme song), 54°40′ will host the inaugural Duke the Halls, a holidays in Hazzard County themed beer fest! Although Roscoe’s would be a good venue for obvious reasons. Bolt has other ideas, I’ll just say this for now—Nick Cage themed beers—but we are family men and our night at the Oregon Public House had to come to a close so we could help get our sons ready early the next morning. When 54°40′ Brewing with his new partner, Charlie Hutchins, who was also his brewing partner back at Rock Bottom, opens, luckily he’ll still be able to spend more time with his family since he finally won’t have far to commute. Professional brewing experience: Since 2011 (Sean went straight from the Siebel Institute’s Doemens Academy in Germany to The Commons). As Sean and I both recall, albeit fuzzily, we met at a brand new brewpub called Burnside Brewing in 2011. Sean had just moved back to Portland, having been hired by Mike Wright to be the head brewer at Mike’s brewery he ramped up from a home-based nano to a seven-barreler renamed The Commons. Four years and four GABF medals later, the brewery is prepping to expand again, this time to 15 barrels. The Commons Crew has a lot of work ahead of them. (Sean, an expert in cabinetry, used to put his expertise to work at Powell’s but has doffed his brewer cap for his cabinet-making one at the brewery’s new location a few blocks away on SE Belmont.) But instead of burning the midnight oil I found Sean and the crew at the Oregon Beer Awards, an awards ceremony thrown by Willy Week at the Doug Fir. The beer community was rubbing elbows while up to its ears in the crowded lounge and The Commons, nominees for some six awards, took home the golden tap for Best Belgian Style Ale (Urban Farmhouse). Afterward, we celebrated with A-listers at Spago’s in the Hollywood Hills. No we didn’t. 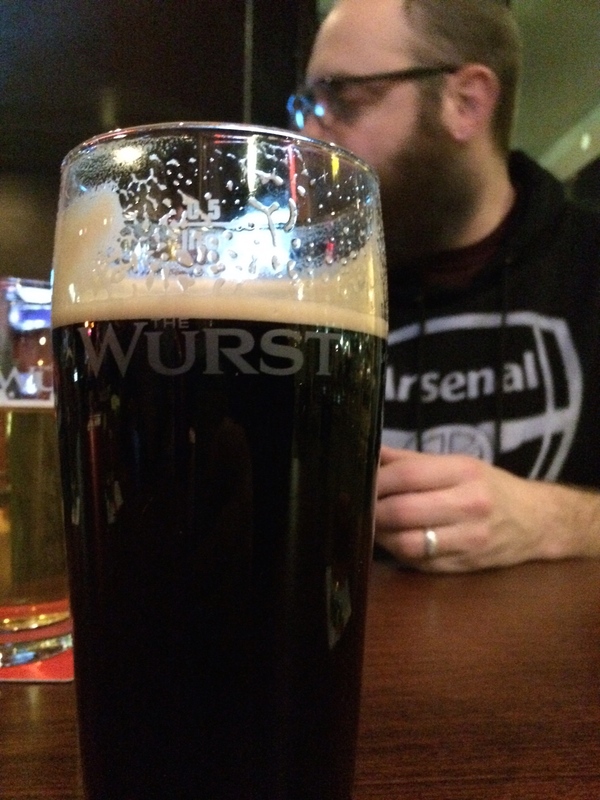 We huffed a block away to The Wurst where Sean and I got pints of Deschutes’ Fresh Squeezed IPA. Truth be told, I tried to get him to go for some beers a block in the other direction, to Union Jacks, but the dedicated husband wasn’t down. (He may have only gotten married a year and a half ago but they were a couple for 14 years.) No, I don’t think that’s his reason. It has something to do with having gigged there. Not working the pole, sheesh, but playing guitar in a band with his brother, which is how the Burke boys rang in Y2K. True story. He still plays out, but has switched to banjo in old-timey sounding, beer-influenced, Maris Otter. In lieu of strippers The Wurst’s entertainment comes in the form of arcade consoles, shooting pool, and busted skeeball and pop-a-shots. I know they’re busted because later in the night I thought it was an okay idea to drop my bus fare quarters to play skeeball and only got 3 balls (but still nailed the 100-point hole) and some pop-a-shot, which Josh Grgas, The Commons’ brand manager, showed me basically worked even without paying since the balls aren’t caught by the catch. Not exactly an arcade game, but Occidental’s Dan Engler was there, too, and somehow we discovered we both had majored in Russian and turned speaking choppy Russki into a parlor game. Incidentally, while I know the focus is on Sean and The Commons, not that WW’s Beer of the Year, Upright Engelberg Pils, isn’t great but IMHO Occidental’s Pilsner is the best in town. Pilsner, and all manner of lagers, are certainly Sean’s passion, his Belgian-influenced brewery’s slant notwithstanding. Remember, he did study brewing in Bavaria after all. I think we got into an interesting conversation about Franconia, but maybe that was someone else. I was onto a pint of Double Mountain Black Irish Stout by that point and I think Sean was on his second pint of Trumer Pils. Pilsner. “Crisp and clean.” Reinheitsgebot. The irony is that Sean made one of my many favorite Commons beers by pitching actual yogurt to introduce the souring agent, lactobacillus. Yep, Nancy’s Yogurt right in the kettle. And it had to be Nancy’s since Sean grew up in Springfield, OR where the creamery was founded in 1960. Given the greatness of Biere Royale—the resulting beer augmented with currants like a kir royale (get it? 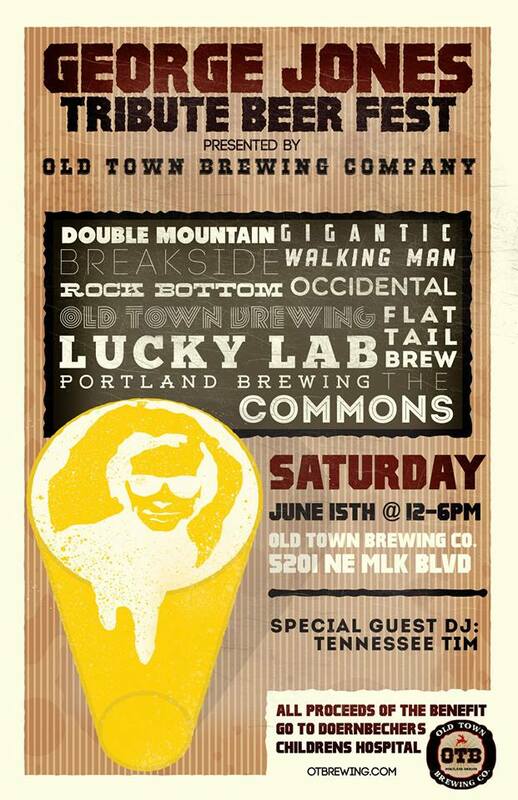 )—it’s not surprising others around town have attempted kettle souring but The Commons was first, at least in Portland. Sean’s pretty positive others had experimented with it sooner. Please send me the link or citation if you know of an earlier example. Afterward, there was a pizza run, well, walk since Sizzle Pie’s just a block away. There was talk about getting his pizza fix in North Portland where he lives but with substandard pie, which is sad. He also talked about skipping the re-opening of the brewery in a month since it overlaps with another beer festival much closer to his home (he wishes he could ride to work; I think I encouraged him to tackle the five-ish mile ride). I suspect he was kidding. Either way, that’s likely the next time I’ll see him but we won’t have the luxury of sitting down and just talking since it will be crowded and there will be an agenda.